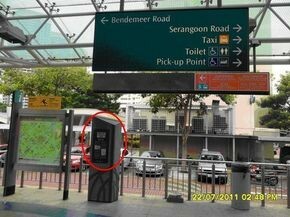 The Bendemeer area was named after a famous villa in the area called Bendemeer House. It was owned by a respected member of the Chinese Community, Seah Liang Seah who was the son of Seah Eu Chin , a prominent Teochew and one of the founder of the Ngee Ann Kongsi. 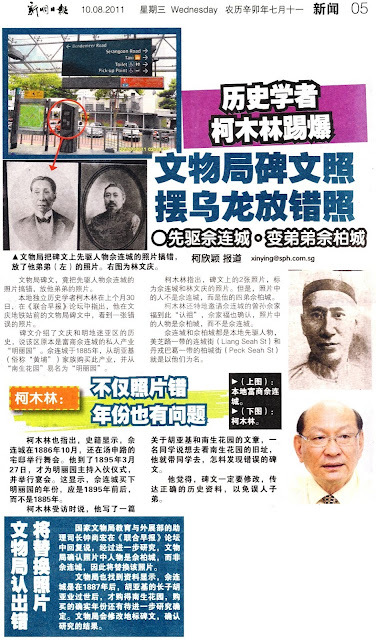 The younger Seah bought the house, originally known as Nam Sang Fu Un, after its owner, Hoo Ah Kay, popularly known as Whampoa died. 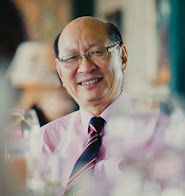 Seah later renamed the house as Bendemeer House. 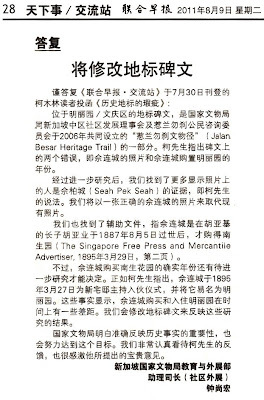 After Seah Liang Seah bought over the property in 1885, the road in the area was subsequently named Bendemeer Road in 1929. 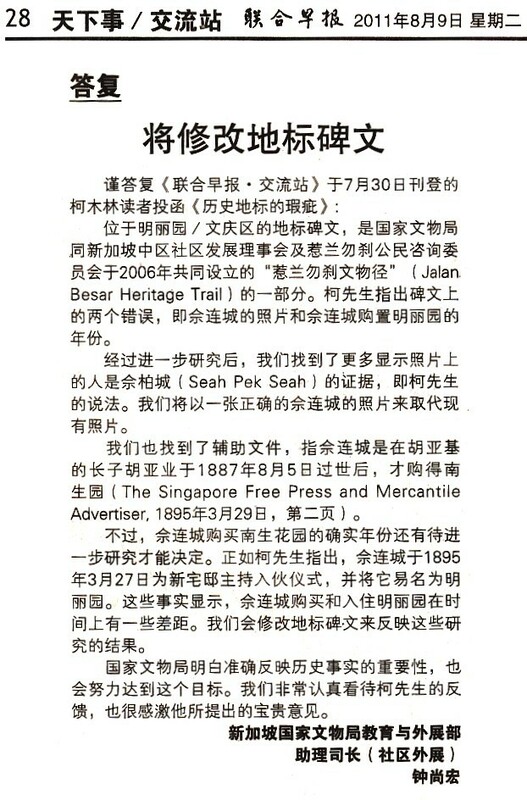 这段文字除简单的介绍南生园 (明丽园 ) 的历史外，还附有4张图片，其中一张仍上世纪70年代文庆路的政府组屋风景; 另3张分別为 : 南生园旧貌、“佘连城” (Seah Liang Seah) 与林文庆的照片。地标底部刻有国家文物局(National Heritage Board)、社区发展理事会(Community Development Council) 和惹兰勿刹公民咨询委员会 (Jalan Besar Citizens' Consultative Committee) 三个团体的标志。虽然没有志明立碑日期, 鉴于文庆地铁站是在 2003年6月正式启用, 估计此碑亦于是年坚立, 至今正好8年! 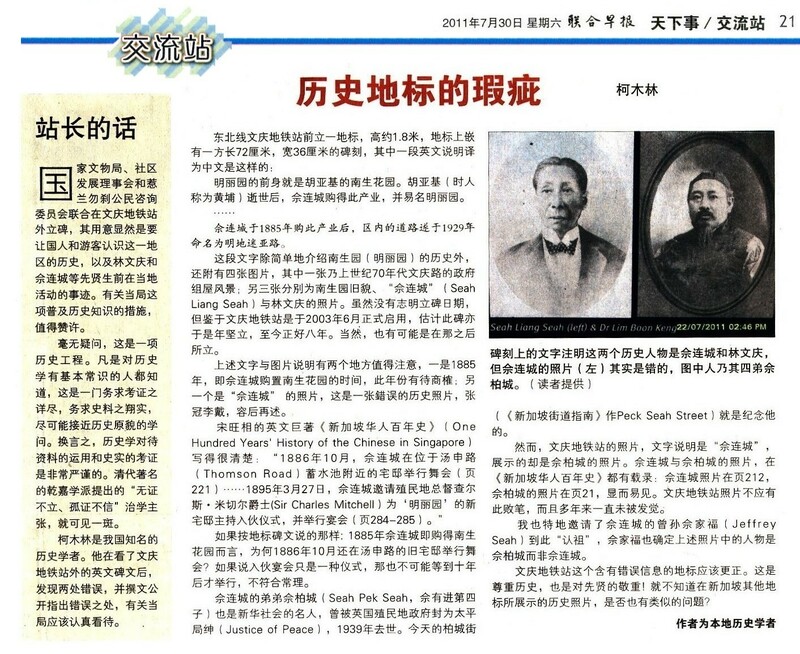 上述文字与图片说明有两个地方值得注意 : 一是1885年, 佘连城购置南生花园的时间, 此年份有待商榷 ; 另一是 “佘连城” 的照片, 这是一张錯误的历史照片, 张冠李载, 容后再述 ! 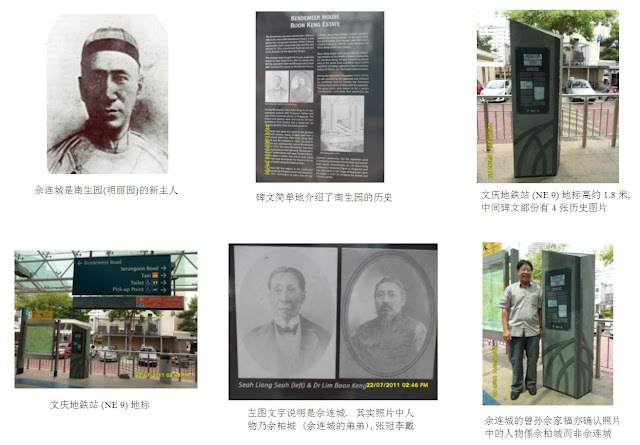 然而,文庆地铁站的照片，文字说明是“佘连城”, 但所展示的却是佘柏城的照片。佘连城与佘柏城的照片, 在《新加坡华人百年史》都有载录。佘连城 照片见是书页212, 而佘柏城的照片在页21, 显而易见。文庆地铁站照片不应有此败笔, 而且多年来一直未被发觉?